I Don’t Know How But They Found Me’s Dallon Weekes has taken to Twitter to condemn closed-minded people. However, Weekes has taken things a step further by demanding change. Additionally, Weekes says that people who are homophobic, transphobic, racist or misogynistic are not welcome to listen to his music. Y’homophobic? Y’transphobic? Y’hate people based on race or religion? Y’misogynist? Y’bully people for any reason? Also, don’t follow me, or listen to my music until you change that stuff. The tweet comes after Weekes shared his thoughts about Wendy Carlos, a transgender composer who composed two Stanley Kubrick films, the Shining and A Clockwork Orange, among many other pieces of pop culture. Been on a Wendy Carlos kick for. Transgender composer and innovator. She changed music forever. If you’re unfamiliar with her work, do more better. Start with ‘Switched On Bach’ or the ‘Clockwork Orange’ soundtrack. SO good! While iDKHOW are just one of many bands who have spoken out about the aforementioned problematic behaviors, we think it’s important to rehearse that rhetoric and encourage an inclusive scene. 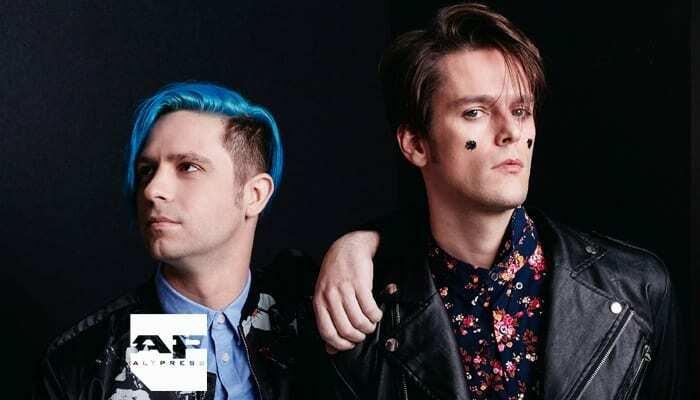 Recently iDKHOW announced a headlining tour this spring 2018 debut EP, 1981 Extended Play. Tickets are available for purchase here. Additionally, you can check out a full list of dates below. What can we do collectively as a scene to make it more inclusive and diverse? Let us know in the comments below.